This isn’t an easy book to read, and it isn’t easy to write about. This is usually the sort of book that I stay away from in the best of days, as it didn’t exactly promise to be an exciting ride. The subject matter is dire like heck. But its reputation as one of the best books ever written precedes it. When the opportunity presented itself I thought it too good a deal to pass up, so I may as well learn what the fuss is about. The story revolves around one Moses E Herzog, who at the point of the story has come out from his second marriage. The divorce ended badly, and his now ex-wife, Madeleine, shacked up with his supposedly best buddy Valentine, and he’s pissed. Also, amidst this emotional turmoil he’s suddenly consumed with remorse over the fact that his second child Junie will be growing up without him. All this culminates in a scene where he attempts to confront Maddy when he learned that Junie was apparently mistreated during an argument with Valentine. The manner of his attempted confrontation and subsequent fallout from that forms the climax of the novel. 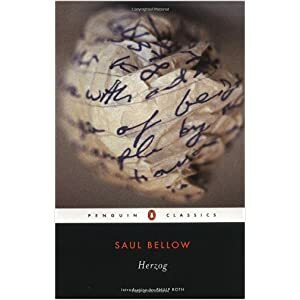 The unique component of this novel is Herzog’s imaginary letter writing – missives he composes to people living or dead covering all manner of things, from his emotions to politics, all revolving around his crumbling life. Sort of the novel’s way of revealing Herzog’s character growth. So it’s a botched marriage by a has-been, and a plot to regain his self-esteem and child. What’s so hard about that? The thing is Bellow’s writing is quite precise when it comes to the emotions. The thoughts that run through his mind, especially during the first quarter of the novel, are raw emotions, complete with self-rationalization of what has happened. Anger at Madeleine and how he felt he was unfairly treated in the lead-up to the divorce were quite believable. There were parts in the prose where I thought Herzog described what I personally felt during various stages of disharmony in my own marriage. I’m still married, and nothing in the story even closely reflected what happened in my own life, so no, this didn’t feel autobiographical. But there are times when husband and wife are fighting (as all marriages will do) thoughts of who’s right and wrong cannot be suppressed, and I felt Bellow captured that accurately. Not that that’s very surprising, considering that Bellow himself divorced his second wife, who had an affair with Bellow’s long-time friend. So really the resonance I felt early in the book carried me along. The story plodded in places, and the writing, while excellent, tended to ramble. Still, this wasn’t utter boredom ala Bridesheads Revisited, and for that I was thankful. This is one book that I will probably revisit later on, which is more than I can say for the majority of the books I read, good or bad. When heroes and expectations fall, the beggar lauds the dime. When someone wants to do it all, but cannot find the time. Suffice to say that made no sense, but nobody will mind. With time I hope to find the will, to write a better line.